Bringing together the latest in technology, innovation, and design, our 2018 Jaguar XE 25t is gorgeous in Polaris White! Powered by a TurboCharged 2.0 Liter 4 Cylinder that offers 247hp while paired with a responsive 8 Speed Automatic transmission. 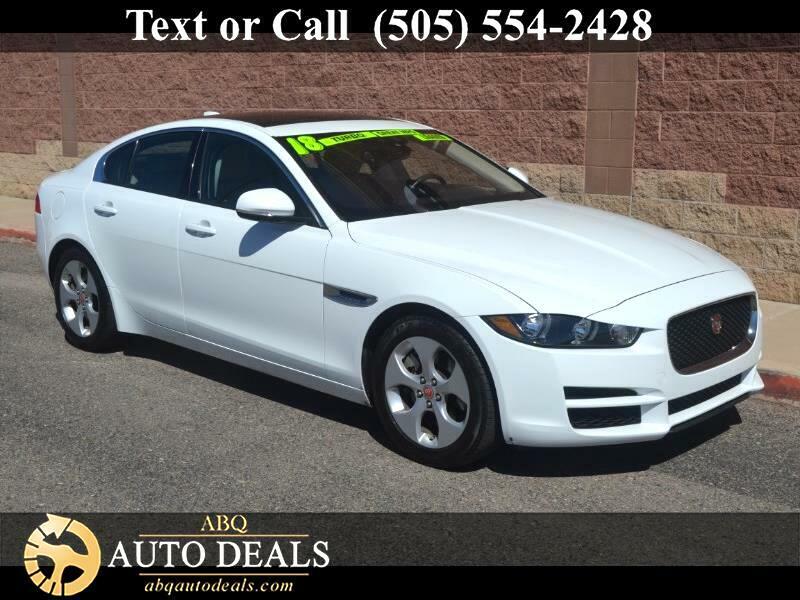 Quick on the road with Jaguar's lightweight aluminum architecture, responsive steering, and solid suspension, our Rear Wheel Drive Sedan promises a thrilling drive that will have you looking for the long way home while scoring near 30mpg! Our XE has an aerodynamic and muscular stance that is perfectly proportioned and enhanced with a beautiful grille, alloy wheels, a large sunroof, and a swept-back hood. Inside our XE 25t, enjoy a wealth of top-shelf amenities including remote keyless entry, push-button start, a leather-wrapped steering wheel with mounted controls, dual-zone automatic climate control, and highly adjustable front leather seats. Staying seamlessly connected is simple with our central touchscreen, a Navigation system, Bluetooth, and a stellar sound system with HD radio, a USB port, and an auxiliary audio jack. You'll be kept out of harm's way with Jaguar's stability/traction control, front-side and side-curtain airbags, and more. Dynamic, luxurious, and loaded with sporting style, our XE is ready to indulge your automotive fantasies. Print this page and call us Now... We Know You Will Enjoy Your Test Drive Towards Ownership! Your buying experience with ABQ Auto Deals is our number one priority.